The Oregon Workers Compensation Act was initially passed by the Oregon Legislature in 1913. The passage of the law was a response to the employer’s liability law which had been passed by the voters when presented to them by initiative petition circulated by the American Federation of Labor (AFL). Prior to enactment of the Employer’s Liability Law, employers could be sued but only if the employer’s negligence caused the injury. The employer had three significant defenses to that lawsuit, all of which arose out of English common law. The first such defense ultimately became known as the Fellow Servant Doctrine and arose from a case decided in England in 1837. Prior to 1837, it had been well accepted that an employer (or master in legal terms) could be held liable for injuries to a third party caused by the negligence of the employer’s employee (the master’s servants). The English court refused to apply that law when one employee negligently injured another employee of the same employer. That case law was immediately adopted in America. The second defense is assumption of the risk which holds that if the employment is dangerous than the employee knows that and they “assume the risk” of the danger of the employment even when the employer is negligent and that negligence gives rise to an injury. The employer could defend the case on the basis that the employee knew about the dangerous nature of the employment. The third of these major defenses was contributory negligence or contributory fault. If the worker was also negligent or contributed to the accident then in some instances the claim would not be allowed at all and in other instances it would be reduced by the pro rate share of the contribution to the injury by the worker. The employer’s liability law outlawed all of those common law defenses and allowed employees to sue their employer if the employer did not take all reasonable steps to make the work place safe regardless of cost or whether the employee violated a safety rule or regulation and that violation contributed in a substantial or material way to the injury or the employer was negligent and their negligence gave rise to the injury. The Workers Compensation Act that was passed in 1913 was not initially mandatory (although it later became mandatory) and replaced both common law negligence actions against employers and replaced employers’ liability law claims against the employee’s direct employer. The initial workers’ compensation system was a one-way system. A one-way system means that the state provided the only insurer. The system gradually evolved into a mandatory system with certain occupations (primarily farming) excluded. The Workers’ Compensation Department made the initial compensability decisions, acted as the insurer, and the first level of litigation (although it was not really a contested litigation). Appeals of those decisions were taken to circuit court in the county where the injury occurred. These trials were given precedence over all others, and while physicians testified in person, much of the evidence could come in in paper form. The state compensation department was defended by assistant attorneys general, and the injured worker hired plaintiff attorneys. In 1965, legislature made dramatic changes to the system. First, and most importantly, workers compensation became a three-way system. A three-way system meant that there was a state run insurer, and private insurers were allowed to write insurance, and what we now call self-insured employers became part of the system. The state compensation department was broken into three parts. The first was the insurance function, which is what we now know as the State Accident Insurance Fund Corporation (SAIF). The policy making arm of the state compensation department was separated out from the insurance function and made into a separate state agency. It is no longer a separate state agency, but is instead part of the Department of Consumer and Business Services (DCBS) and is the Workers’ Compensation Division. Finally, the litigation portion became what is now known as the Workers’ Compensation Board and its Hearings Division. Jury trials were eliminated and the system became exclusively an administrative system. 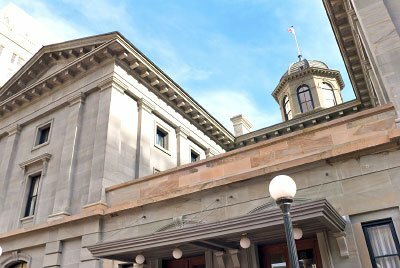 Chapter 656 of the Oregon Revised Statutes represents all the statutory law of Oregon’s workers’ compensation system. You can think of this as an insurance policy written by our legislature and approved by our governor. OAR Chapter 436 represents the administrative rules of the Department of Consumer and Business Services and these are the rules for administering the workers’ compensation system. The ones most directly affecting most injured workers are OAR 436-035, rules regarding permanent disability, OAR 436-060, claim processing rules, OAR 436-010, medical services rules, and OAR 436-120, vocational rehabilitation rules. OAR Chapter 438 is the Workers’ Compensation Board’s rules of practice and procedure, and govern how cases are tried before the Workers’ Compensation Board. The Workers’ Compensation Board publishes their written decisions, and they are contained in the Van Natta’s Reporter which can be found on the website of the Workers’ Compensation Board. Initial hearing decisions (called Opinion and Orders) can be appealed to the Workers’ Compensation Board. The Workers’ Compensation Board issues decisions, called Orders on Review. They are allowed to make findings of fact that are different from the administrative law judge’s findings of fact. The Workers’ Compensation Board’s cases can be appealed to the Court of Appeals which has a limited review. Before 1987, the Court could look at the facts and make its own determination about the appropriate facts. Since 1987, they are limited to review based on substantial evidence and errors of law. The Supreme Court has the ultimate authority in deciding cases, but they first determine whether they should accept the case for review or not. Currently employer liability law cases are still a remedy for a worker but only in the context of a person working on a work site with a general contractor and one or more subcontractors when one of the employers (or their servants) is negligent and that negligence causes the injury of the worker and that the negligent employer is not the injured worker’s direct employer. Over the years many changes have been made in the Oregon Workers Compensation Act. . .